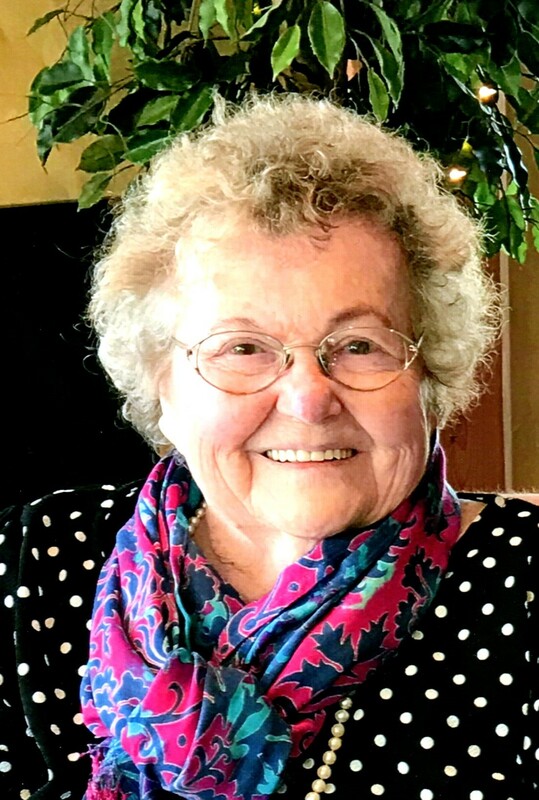 Darleen J. Figliola, 86, of Virginia, passed away Tuesday, November 27, 2018 at Essentia Health in Virginia. A memorial service will be held Friday, November 30, 2018 at Range Funeral Home at 1:00 pm with visitation one-hour prior. Arrangements are with Range Funeral Home in Virginia. To sign the online guest book or to send condolences, please visit www.rangefuneralhomes.com. Darleen Joan Figliola was born May 18, 1932 in Deer Creek, MN to Merrill and Eleanor (Kent) Billington. In her youth, Darleen lived in California. She graduated from Alango High School. She was happily married to Olaf Walkky in 1960. The couple made their home on Sand Lake. Olaf died in Wyoming in 1976. On October 8, 1983, she was united in marriage to Carmen Figliola. She enjoyed polka dancing and traveling with Carmen. She excelled at being a mother and a grandmother. Darleen was proud of her Mayflower ancestry and her Finnish Heritage. She is survived by her children, Ronald (Jackie) Walkky, Katherene (Sam) Aluni, Debra (Richard) Wicka, Jack (Brenda) Walkky, Olaf (Debbie) Walkky, and Anita (Leon) Hiti; grandchildren, Lauren (Sean) Pipkin, Sam (Nicole) Aluni, Jenna (Shane) Weis, Brittany Wicka, Alexandra Wicka, Jacob Hiti, Taylor (Andrew) Byington, Jesse Hiti, Amber Hiti, Olaf Walkky, Jordan Walkky, Jack Walkky, Luke Walkky; 8 great grandchildren; brother, Roger (Donna) Billington; and numerous nieces, nephews, and cousins. She was preceded in death by her parents; first husband, Olaf Walkky; second husband, Carmen Figliola; and sister, Margie Sopp. Darleen was such a wonderful, kind, and easy person to talk to. Our sincerest sympathies to all of her family, friends, and relatives. May she rest in peace. I was so sorry to read about the loss of your mom; she was a special lady that I will never forget growing up on Sand Lake and the Sand Lake Chapel days. I just ran into her and Carmen last year in Mendard’s one day and gave her a hug as I had not seen in quite some time and had been thinking about her wondering how she was. She will always have a special place in my heart. My thoughts and prayers are with you during this time.